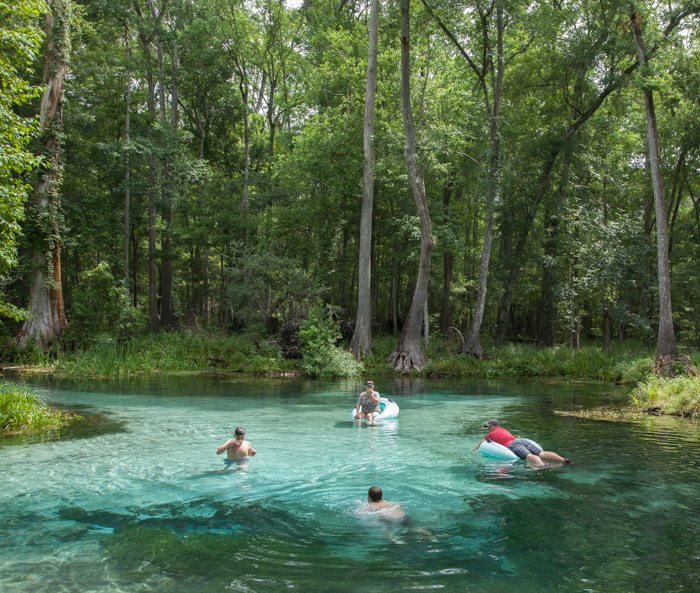 Florida now has 175 State Parks, and everyone’s excited that the transition from private to public for Gilchrist Blue Springs is now a “done deal”. The property, which contains six natural springs and includes approximately one mile of frontage along the Santa Fe River, has been providing recreational opportunities as a private park since 1958. 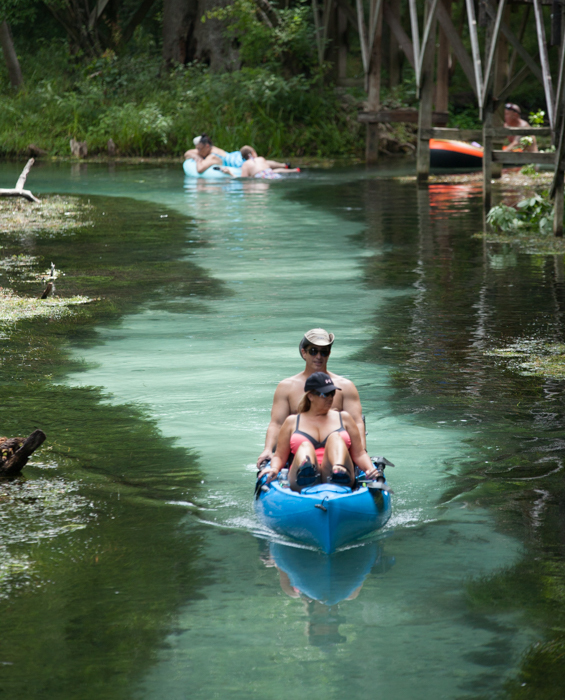 As a state park, Gilchrist Blue Springs will continue to offer numerous opportunities for resource-based recreation, including swimming, paddling and hiking. Among the six natural springs contained on the property is a large second magnitude spring that produces an average of 44 million gallons of water per day. This spring, known as Gilchrist Blue, discharges water through a shallow spring run about one-quarter mile to the Santa Fe River. 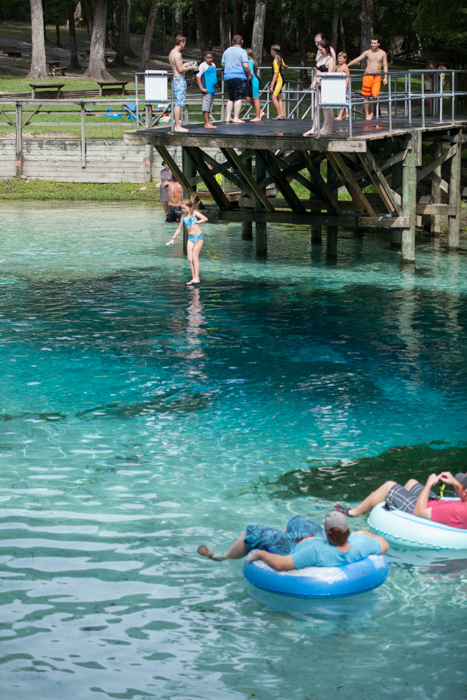 The other named springs on-site are Little Blue Spring, Naked Spring and Johnson Spring. One of the best things to happen with the State’s acquisition of the 407-acre property is that the admission is now $6 per vehicle (up to 8 passengers). Another advantage is that the FUN FACTOR will remain the same at this family-friendly park!